Cinzia Leone was born in Genoa May 12, 1976. Educator, graduated in Educational Sciences, she is registered to the Pedagogists Italian Association (ANPE) with n. H0070. Head of the Pedagogical and Projects Area of the Centro LiberaMente, she carries out various activities including talks and guidance aimed at supporting individuals (adults and children), families and businesses, through a work centered on interpersonal relationships, listening, mediation and support, facilitating the identification and development of personal resources. She has obtained a University Master’s Degree in Planning Services and she is an expert in recruitment and selection of companies personnel, planning, coordination, training and human resource development, organization and reorganization of work, awareness-through support to productive meetings and events of representation and into the drafting of conventions. She also carries out training programs for companies personnel, focusing on the role and intervention skills, planning, organizing, monitoring of work, motivation, communication, research and selection of personnel, products, tools. 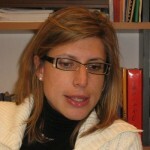 She has received prestigious professional appointments at the Juvenile Services Justice of the Court of Genoa, she has worked in Training programs for employees of Small and Medium Enterprises as head of personnel selection and training, advisory services area manager, planning of routes training and development of Human Resources. Founder and project coordinator of the Department of Educational Planning for Children with first offenses at risk of relapse (SPEM), she has allowed the construction and coordination of a regional network of support for children at first offenses. In this network are directly involved managers and operators of civil and penal institutions and the private social sector, through the construction of individualized educational plans with the child and family. She has held various positions in complex community structures (head and coordinator of staff) and in criminal matters, especially the Juvenile Justice System, promoting educational talks with particular attention to aspects such as the experience of relationships, the relationship with the standard and with the authority, self-respect and their own health, the organization of work and leisure. She has teaching positions at the University of Genoa – Department of Juvenile Justice, for the design, communication, education and career guidance and work organization.